Summer is a great time to grab your camera and go to Windham, NY. There is nothing better than capturing what you see in a way people could not imagine or perceive. At Albergo Allegria, we want to make sure you have the time and energy to get out and capture your art. Our Catskills Bed and Breakfast offers incredible breakfast and comfy rooms to make sure your stay is enjoyable and creative. Windham, NY offers amazing landscape for photography. With forests, mountains, and a cute town, you will love spending your time working on capturing the perfect photo. At Albergo Allegria, we offer maps of different trails, hikes, and fantastic locations for you to venture out and take pictures. We are close to a lot of beautiful attractions. We even have a gorgeous creek in the backyard for you to explore. Whether you bring a DSLR, a smaller digital camera, a Polaroid, or your phone, you will create a beautiful photo when you visit Windham, NY. With any camera of your choosing, knowing how to operate it, is crucial. Take some time before heading our way and get comfortable with handling your camera. Reading information on how to adjust exposure and settings will help you become a better photographer. Are you interested in landscape or portrait? It is all about your subject for deciding which style and place you should go. If you are interested in Landscape, bring a few lens to capture the perfect shot. A large lens will help you catch a waterfall up close without having to get too close. 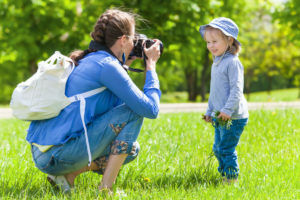 If you want to capture portraits on your vacation with your family or friends an action shot setting on your camera is recommended to capture all the amazing things you will be doing in Windham, NY. After a fun day of shooting the perfect images relax and look over your photos at Albergo Allegria. Cozy up to the fire or lay back in your room and take the time to edit and review the pictures. Caption the photos, so you know where you were, what you did, and who you were with. This will be helpful when looking back at the photos or if you are adding them to a blog or website. At our Catskills Bed and Breakfast, we will make sure you have space and the comfort to discover an amazing photo. We cannot wait to see what you create!